Comfortable Tatami mat / No installation required. 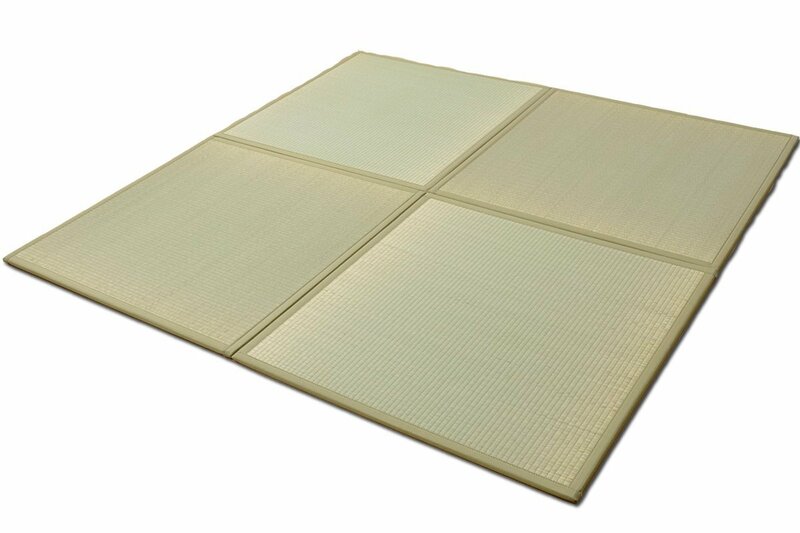 Brand new Japanese Tatami mat with affordable price. This new tatami mat has traditional tatami surface but unlike traditional style it does not require any difficult installation. It can be placed onto almost any floor. It has comfortable thickness but vey light enough to move it around. You can have several tatami together using the joint on the back. 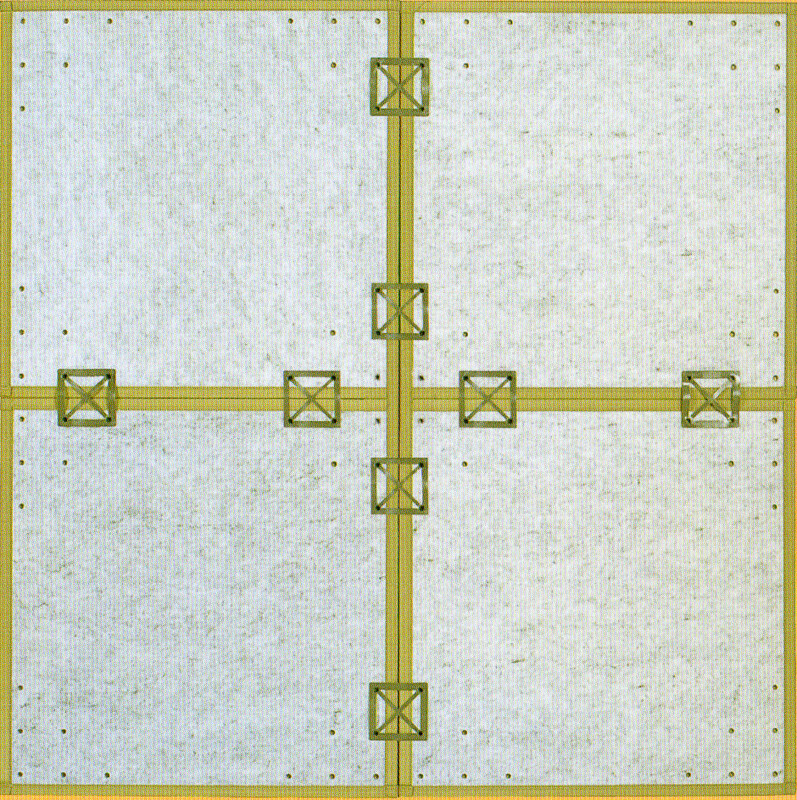 All our tatami has natural antibacterial finish. Indoor use only and not suitable for any martial arts. Tatami mat is made from natural material therefore there will be slight color difference and natural color fade which will be almost even look as you use. The shape of tatami might not be totally square. Color of Tatami mat might look slightly different from the photos. To prevent any accident please DO NOT run or jumping onto Tatami Mat. You can joint your Tatami Mats as many as you desire. Turn over to the backside of the Tatami Mat you will find several holes. 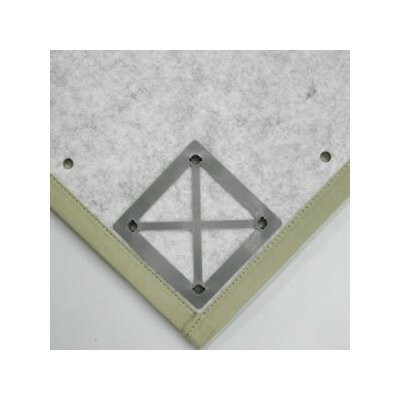 Simply place joint parts into any of the holes to fix Tatami Mats together. For stabled joint we recommend that you use two joint parts per side. This Tatami Mat has been specially coated with natural substance to protect from color change, sun damage, bacteria, mite and mould. Please use dry cloth to clean the surface of Tatami Mat. DO NOT use any wet cloth as it may attract mould and change the color of Tatami mats. Wipe the surface gently two times. DO NOT wipe hard as coating might be wiped at the same time. If you happen to spilt liquid use paper towel or tissue to absorb the liquid. Try not to wipe with cloth. Please keep the surface clean as dirt might attract mite. Keep free from moisture. Before you store Tatami Mat please have them upright and dried for about two hours in shades. Try to avoid the place with high temperature and humidity. Our prices of EASY TATAMI MAT include loss & damage insurance during delivery. 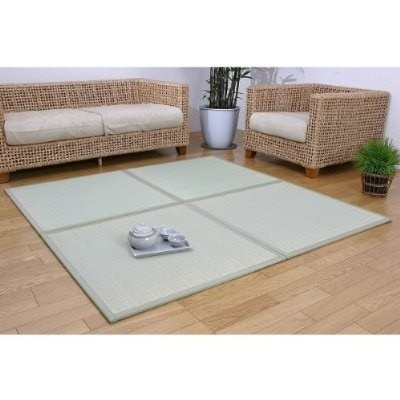 If you are in Adelaide area, you can order this Tatami mats at our shop in central market and purchase there. We do not normally stock this item in the shop, so please notify us in advance.